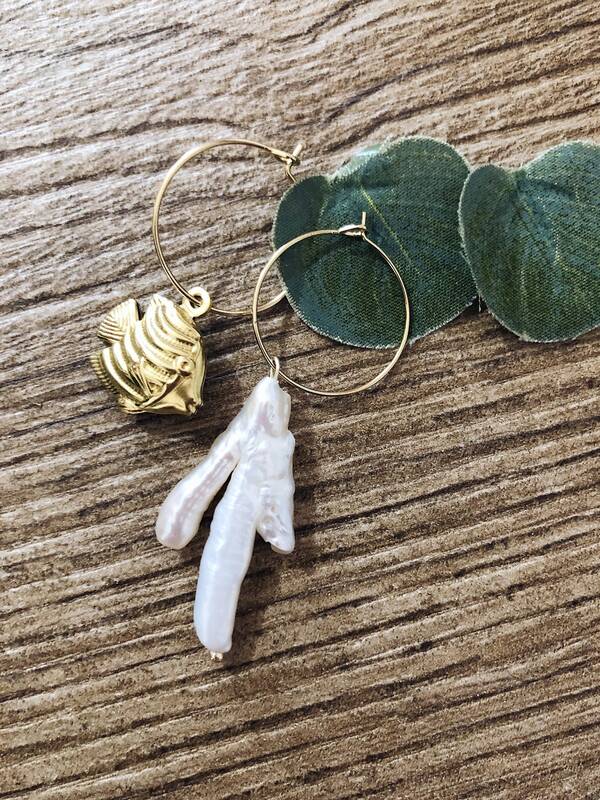 The earrings for sale are made with thin brass circles, scaramazza pearls and fish-shaped brass or shell-shaped pendants. Choose your favorite! 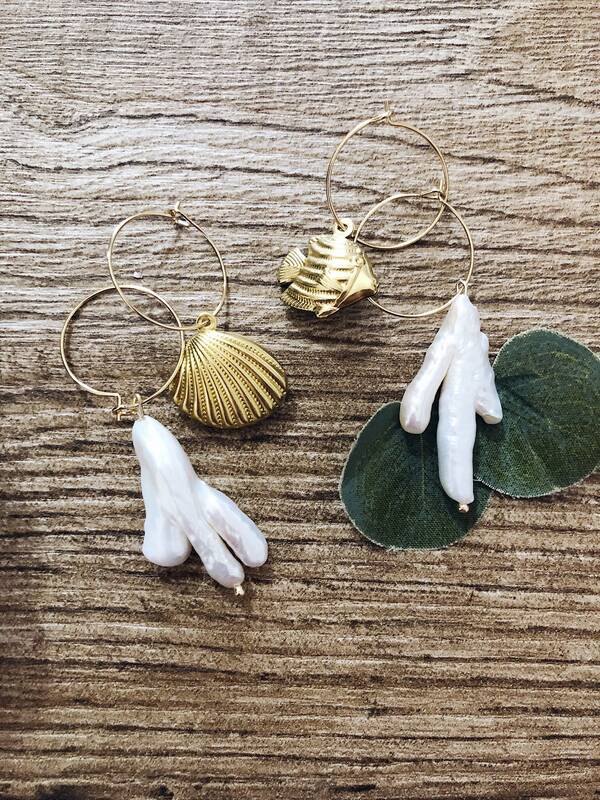 ATTENTION: The earrings are sold in pairs. 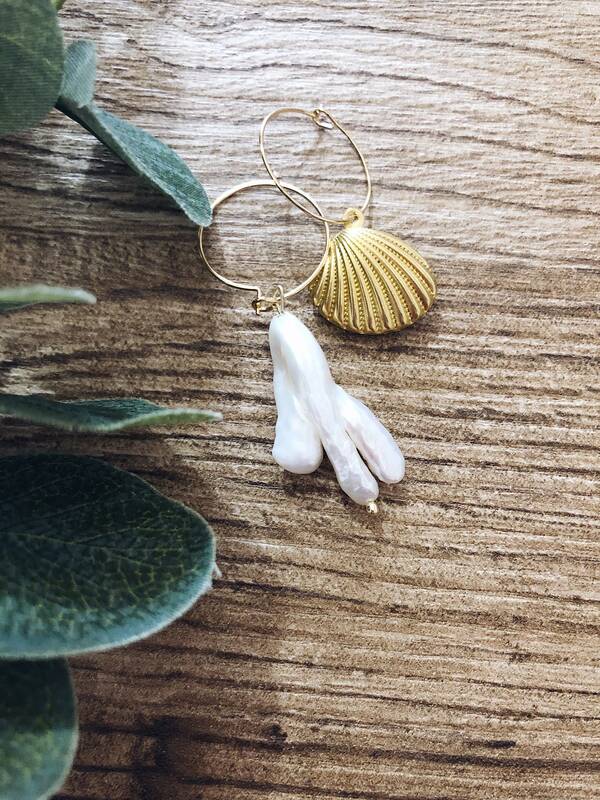 The scaramazza pearl is inserted in a circle, in the other circle the pendant chosen between fish or shell. The pearls will NEVER have the same size or shade of color or shape. All natural pearls are different, no pearl is the same as another.